Kraig McNutt is the Director of The Center for the Study of the American Civil War (CSACW), which houses his extensive personal Civil War collection. The CSACW was founded in 1995. McNutt has been a serious student of the American Civil War since the early 1980s and has been publishing Civil War related content on the Web since 1995. He publishes two major Civil War blogs; combined they respectively receive tens of thousands of views a month. The Civil War Gazette is a blog of a more general nature, though it tends to focus on the so-called Western Theater of the Civil War. 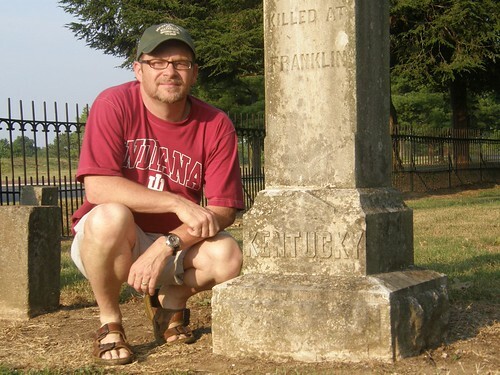 He also maintains and produces the most comprehensive and most visited blog on the Battle of Franklin (www.BattleofFranklin.net). Both of these web sites result in many inquiries each month from his blog readers who are looking for more information on Civil War ancestors, relatives, and research questions on the Civil War. McNutt is related to several Union (Kentucky) Civil War veterans. His children (and wife) are direct descendants of a Union veteran of Franklin. His wife is also related to more than 50 Civil War veterans from both sides, including five Confederate Generals. McNutt is known for his creative use of new media technology. He launched thefirst Civil War Internet-podcast called Grapevine Dispatches (currently not active). Two of the more technologically creative applications he has created are (1) The Civil War Gazette search engine, and (2) The Battle of Franklin interactive Google map. McNutt is active in historic preservation in his community (Williamson County, TN) and is proud to be a member of the Civil War Preservation Trust. He has lived in Franklin, Tennessee with his family since 2000. He has degrees from Indiana University, the University of Kentucky, and Grace Theological Seminary. Kraig McNutt, a lifelong student of the Civil War, has quickly become one of the pre-eminent Civil War bloggers on the web. His various offerings, many focused on the Civil War in Tennessee, are filled with great stories, historical insights, and modern-day Civil War developments. In a world of ever expanding content offerings, Kraig’s blogs remain as a must read for anyone interested in the American Civil War. Kraig McNutt is exactly the kind of voice America needs to carry on the story of its darkest hours. He is educated, knowledgeable, unbiased, and above all, PASSIONATE about a subject that should resonate with every American of this generation and all generations to follow. Kraig McNutt is a scholar and storyteller of such passion that he can do what very few can. Mr. McNutt can breathe life into stories almost forgotten and can make the spirit burn at both the heinous atrocities and heart-breaking courage shown by all who were touched by this unforgettable time in history. It is a joy and honor to hear him speak and read his educated interpretations. The CSACW is primarily focused on the Western Theater of the American Civil War. The Western Theater was an area defined by both geography and the sequence of campaigning. It originally represented the area east of the Mississippi River and west of the Appalachian Mountains. It excluded operations against the Gulf Coast and the Eastern Seaboard, but as the war progressed and William Tecumseh Sherman’s Union armies moved southeast from Chattanooga, Tennessee, in 1864 and 1865, the definition of the theater expanded to encompass their operations in Georgia and the Carolinas. Sherman’s 1864 campaign, especially his March to the Sea, and his Atlanta action. Hood’s Middle Tennessee campaign, particularly the Battles of Franklin and Nashville. Regiments the CSACW focuses on include Indiana (11th Cav., and the following infantry units: 44th, 58th, 63rd, 65th, 80th, 120th and 128th; and Kentucky (Union) 6th Cavalry. Middle Tennessee locations and related: Franklin, Nashville, Brentwood, Triune, Thompson’s Station, College Grove, Williamson County. Battles of Corinth (MS), and Iuka. Miscellaneous: Robert Smalls, the Wallace-Taylor boys of Gibson County, Beaufort, S.C., Slavery, Irish songster Barney Williams, Harper’s Weekly, Leslie’s Illustrated, and daily Civil War newspapers. If you have letters, documents or items of related interest you’d like to share with the CSACW please contact us. We’d be delighted to make them more accessible through the CSACW with your permission. 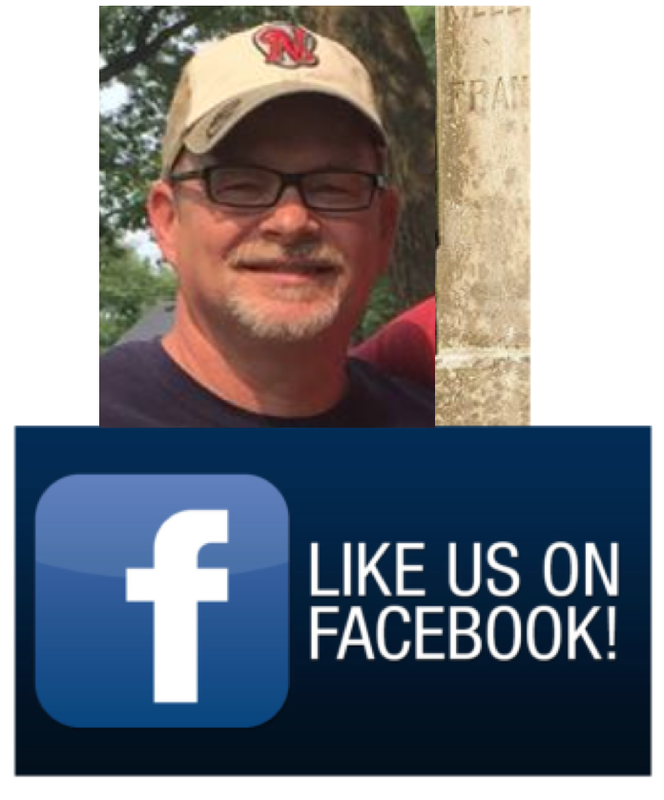 Mr. McNutt is active in Civil War preservation efforts in Williamson County, Tennessee, and is an active member of the Williamson County Historical Society and The Franklin Civil War Roundtable. He holds several; academic degrees, both undergraduate and graduate, with concentrations or majors in history, philosophy, communications, theology, languages, archaeology and information science.